Find out about the history of asbestos, when it was discovered and how it was used. Asbestos is a very old material which was first used by humans in the Neolithic Age as a temper for ceramics. Prehistoric shards containing asbestos have been found in Finland, Central Russia, Norway and Sweden. The first recorded uses of asbestos date back to as early as 2500 B.C. 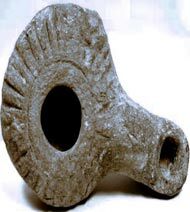 It has been known since ancient times in both the western world and Asia as a natural wonder, and a source of fibre for very expensive – and therefore rare – textile objects such as shrouds, napkins, tablecloths, and special purpose clothing. In the west, it is first mentioned in Greek sources, and its name ‘asbestos’ (meaning ‘inextinguishable’) first emerged around 300 B.C. The Greeks and Romans noted that asbestos had low thermal conductivity, and was resistant to fire and acids – but they also knew that asbestos had harmful biological effects. In addition to western sources, Chinese, Sinhalese and Indian sources mention the use of asbestos in antiquity. The first definite identification of asbestos fabric in Asia occurs in a written account dated towards the end of the 5th century B.C. about a fire-proof cloth that was cleaned by exposure to fire. 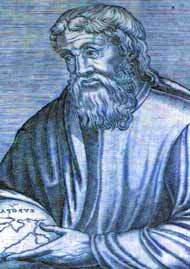 Even though the Greek geographer Strabo and the Roman naturalist Pliny the Elder both observed the ‘sickness of the lungs’ in slaves that wove asbestos into cloth, they were in such awe of its seemingly magical properties that they ignored the health issues. It is rumoured that the Romans would clean asbestos napkins by throwing them into the fire. The asbestos cloth would come out of the fire whiter than it went in – so the Romans called asbestos “amiantus”, meaning ‘unpolluted’. 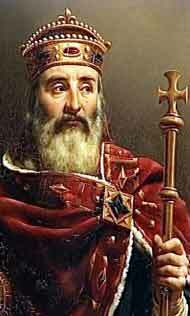 Use of asbestos declined during the Middle Ages – although some say that Charlemagne had tablecloths made from asbestos. Marco Polo was also shown textile items made from asbestos cloth on his travels, and he observed asbestos mining and weaving of asbestos cloth in Asia. 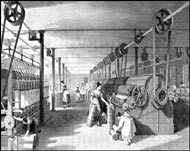 Asbestos use in England was reintroduced in the 1700s, but did not become widespread until the Industrial Revolution during the late 1800s. 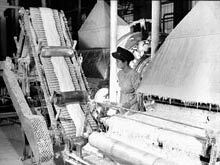 The Industrial Revolution represented a huge boom for the asbestos industry. Factories were opening everywhere, and new uses for the ‘miracle mineral’ were being invented on a regular basis. Commercial asbestos mines sprung up in the late 1800s, and entrepreneurs recognised that asbestos could make them rich. The railway industry was among the first to make extensive use of asbestos and asbestos-containing products – and because the railway industry was growing in leaps and bounds, the need for asbestos grew. 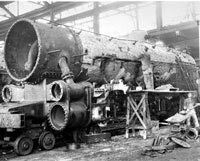 Railway engineers began to use asbestos materials to line refrigeration units, boxcars, and cabooses – and the material was found to be especially useful as insulation for pipes, boilers, and fireboxes in steam locomotives. The shipbuilding industry wasn’t far behind. Shipbuilders made extensive use of asbestos material as well, just like the railways. Some typical uses included insulation for steam pipes, boilers, hot water pipes and incinerators. In fact, asbestos was so widely-used on ships that those who worked in the industry were among the most affected by asbestos-related diseases, such as mesothelioma and asbestosis. Shipbuilding became especially dangerous during war time, when the industry was at its peak and literally millions of people worked on building and repairing ships. Ancient observations of the health risks of asbestos were either forgotten or ignored. At the turn of the 20th century, researchers began to notice a large number of deaths and lung problems in asbestos mining towns. In 1917 and 1918, it was observed in several studies that asbestos workers were dying at unnaturally young ages. The first diagnosis of asbestosis was in 1924. A woman had been working with asbestos since she was thirteen. She died when she was just 33 years old, and an English doctor determined that the cause of death was what he called ‘asbestosis’. Following this, a study was done on asbestos workers in England which revealed that 25% of them showed evidence of asbestos-related lung disease. Laws were passed in 1931 (these were the first asbestos-related laws: ‘The Asbestos Industry Regulations, 1931’) to increase ventilation and make asbestosis an inexcusable work-related disease. In the 1930s major medical journals began to publish articles linking asbestos to cancer. 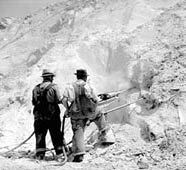 The rediscovery of asbestos-related diseases was then put on the back burner for several years due to the emergence of silicosis – a lung disease caused by silica dust inhalation. Affected workers brought £300 million in lawsuits against their employers. 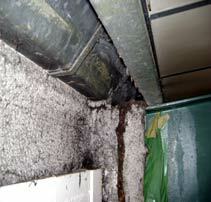 This served as a warning to the asbestos companies, and they tried to cover up the health issues surrounding asbestos. Asbestos companies continued to use asbestos in manufacturing and construction. Despite the fact that many new materials – such as fibreglass insulation – were invented to replace asbestos, many companies completely ignored the newer, safer alternatives. They simply ignored the danger for the sake of profits, much like the tobacco industry. However, the conduct of the asbestos companies is especially egregious because the victims were largely exploited workers who were unaware of the serious health risks they were being exposed to on a daily basis. As cars became popular in the early years of the 20th century, the automobile industry also started using asbestos. In cars, the ‘magical mineral’ was used in brake pads and shoes, and in clutch plates – all classified as ‘friction products’. Asbestos was also used for the brakes in the new-fangled elevators that graced America’s growing crops of skyscrapers. However, it was the building industry that gave asbestos its largest boost. Naturally, everyone wanted their homes and offices to be safe and warm – and fire-resistant asbestos seemed to be the perfect product for those purposes. Asbestos was soon to be found everywhere in homes and commercial buildings – it was used for wall insulation, floor and ceiling tiles, in exterior siding, and in roofing tar and shingles. Asbestos could also be found in stucco, drywall tape, gaskets, cement pipes, rain gutters, plaster, putty, caulk, and a host of other building products. Schools and theatres even boasted asbestos curtains, considered to be safer than other standard fabrics because of their strength and heat resistance. When the use of asbestos was at its highest – in the 1940s to 1970s – an estimated 3,000 products made use of its unique properties. You could find asbestos in hair dryers, irons and ironing board covers, toasters, coffee pots, and electric blankets. Because asbestos is also found in vermiculite (talc), trace amounts could also be detected in cosmetics and powders, as well as fertilizer and potting soils. The warnings and regulations of the 1970s and beyond put an end to much of the industry – but there are still some countries that mine and export Chrysotile asbestos. Though there’s relatively little chance of experiencing the degree of exposure that many suffered in the 20th century, the risk is still there – in older buildings, imported auto products, and in places where natural deposits of the mineral are commonplace.